Welcome to the COSIMA Home Page. These pages are built by Australian researchers involved in global ocean and sea ice modelling. We aim to distribute information on the current supported models, the research we do and the future trajectory of models we will use. 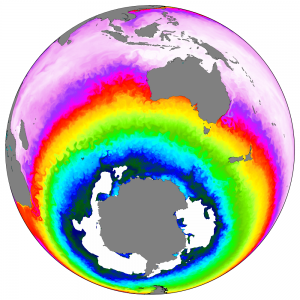 COSIMA stands for the Consortium for Ocean-Sea Ice Modelling in Australia. We are comprised of a number of university nodes (ANU, UNSW, UTas, UAdelaide) and the major publicly-funded research agencies (Bureau of Meteorology, Australian Antarctic Division and the CSIRO). We are strongly supported by the National Computational Infrastructure and the Australian Research Council. Use or contribute to the ACCESS-OM2 model suite.